There are a couple of items, both short in length, that we decided to remove from the main essay and put on a separate page. The reason for doing this is, simply put, because these items are an embarrassment, not for us, but for Shakespeare. In the first instance, we see signs that Shakespeare became utterly delusional, thinking that the thirty-nine prophecies (on which he correlates) were not written by the famous seer Michel Nostradamus, but by Merlin, a fictional wizard belonging to the legendary King Arthur! Encircled, Saint George to one half, demolished. Saint George was the famous dragon killer, so that has to be where the dragon comes from. In times and places flesh to the fish shall give place. It&apos;s a mystery what this fish is, but it doesn&apos;t sound like something in the water, so let&apos;s take away the fins. Like a griffin shall come the king of Europe. This is clearly no ordinary griffin, so now let&apos;s remove the wings to make it kingly. The royal bird over the city of the Sun. Some have claimed that this "moulten" means molted, but one can find many examples from the 16th and 17th centuries where "moulten" means molten, quite sensible for a bird flying over the Sun! In brief, in that one short passage, Shakespeare refers to all of Nostradamus&apos; favorite animals, but he attributes them to Merlin! Son temps s&apos;approche si pres que ie souspire [VIII-76]. More Macelin than king in England, ... His time approaches so near that I sigh. This prophecy Merlin shall make, for I live before his time [Lear]. So now it looks like Shakespeare wishes to challenge world history, effectively claiming that the name Merlin results from a merger of the names Myrddin and Macelin! Let&apos;s not forget about Marlowe. Indeed, there are reasons to believe that Marlowe was the real culprit behind the Merlin nonsense. As we saw in the main essay, it was Marlowe, and not Shakespeare, who alluded to Geoffrey of Monmouth, the crazy monk who initiated this Merlin thing back in the 12th century. "THE BIRTH OF MERLIN: OR, The Childe hath found his Father. As it hath been several times Acted with great Applause. Written by William Shakespear , and William Rowley. Placere cupio. LONDON … 1662." Do not be put off by the late publication date. This religiously-sensitive play had to await the Restoration (1660) before they dare publish it. The DRAGON is your Emblem, bear it bravely. The word DRAGON (all caps) appears in the original 1662 publication of this play but, with caps not being popular, they were demoted in subsequent printings. surgat Mephistophilis DRAGON, quod tumeraris [Faustus]. 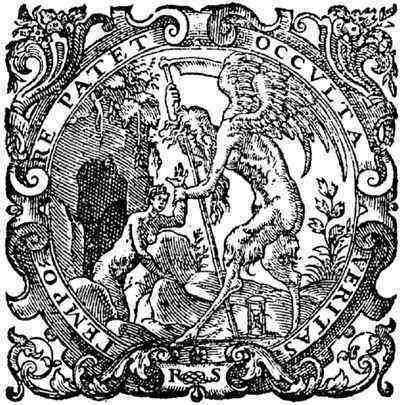 Per the Project Gutenberg, this DRAGON (all caps) appears in quarto publications of Marlowe&apos;s Faustus. There are more "emblems" pointing to Marlowe as coauthor. In fact, the play seems to go out of its way to establish Marlowe as the true coauthor, but beware some of the references to Marlowe are so ingenious that they might be missed by mere mortals. For example, in the play&apos;s Drammatis Personae (where, by the way, we find Merlin listed as "Merlin the Prophet"), we read "Anselme the Hermit, after Bishop of Winchester" (italics in original). Such a Bishop makes no appearance in the play but, in real history, after events occurring at Winchester, Saint Anselme became Bishop of Canterbury, Marlowe&apos;s home town! The playwright William Rowley may have been chosen (there were quite a few Jacobean playwrights to pick from) to represent Marlowe for a specific reason. In France during the late 16th century (perhaps there was some crossover to England), anagrams were all the rage of the day. According to the rules, it was permitted to make one, and only one, change of letter. For the name Rowley, we wish to change the final &apos;y&apos; to an &apos;a&apos;. There was certainly nothing wrong with including adjacent letters or letter, which in the case at hand, would be an &apos;m&apos; (the final letter of the preceding William), giving us, in total, mRowlea. And from there we get: m – a – R – l – o – w – e ! Joan. Hence thou black horror, is thy lustful fire kindled agen? not thy loud throated thunder, nor thy adulterate infernal Musick, shall e&apos;re bewitch me more, oh too too much is past already. Devil. Why dost thou fly me? I come a Lover to thee, to imbrace, and gently twine thy body in mine arms. In the Drammatis Personae of this spelling-conscious play, Joan is spelled Jone, possibly wishing to allude to the name Jane. Both are feminine forms of John. Of Merlin&apos;s learned worth, and Arthur&apos;s glory. Whose words, like wildfire, burnt the shining glory [Lucrece]. Wilde-fire and Brimstone eat thee. Hear me sir. that e&apos;er was invented by any brimstone devil [Faustus]. To be fair, we must acknowledge seeing signs that, years later, Shakespeare regained his senses and completely abandoned the fictional Merlin but, sadly, in favor of an even crazier idea, one too crazy to mention. And no, it wasn&apos;t the son of the Devil as Marlowe believed. It gets worse, much worse than the Merlin delusion. It seems that in his old age Shakespeare became largely incapacitated, mentally, and when writing his Last Will and finding himself unable to think, he decided to borrow ideas from the Last Will of Michel Nostradamus, who died precisely fifty years earlier, in 1566. We&apos;ll explain what we are talking about. At the time of his death, Nostradamus had three hundred prophecies that were never published, yet his Will makes no mention of any unpublished manuscripts. At the time of his death, William of Stratford had eighteen plays that were never published, yet his Will makes no mention of any unpublished manuscripts. In his Will, Nostradamus makes no mention of his being a seer or prophet, and he makes no mention of prophecies. In his Will, Shakespeare makes no mention of his being a writer, and he makes no mention of poems or plays. In his Will, Nostradamus makes just one reference to astrology and he does so by way of an afterthought, that is, by attaching a brief codicil in which he bequeaths his astrolabe. In his Will, Shakespeare makes just one reference to the London theater and he does so by way of an afterthought, that is, by inserting interlinearly a bequest to three actors. In his Will, Nostradamus lists his belongings in minute detail and makes bequests to descendants not yet born. In his Will, Shakespeare lists his belongings in minute detail and makes bequests to descendants not yet born. In his Will, Nostradamus bequeaths six French coins to each of thirteen beggars. In his Will, Shakespeare bequeaths ten pounds to the poor of Stratford, but in the same Item bequeaths "thirteene poundes, sixe shillinges, and eight pence" to a gentleman. In his Will, Nostradamus bequeaths to his wife the bed located in the hallway of their home along with the nearby furniture. No mention is made of any other bed, such as the matrimonial bed. In effect, Nostradamus gave his wife (who was called "Anne") his second-best bed. In his Will, Shakespeare bequeaths to his wife (who was called "Anne") his second-best bed along with the furniture. Nostradamus signs his Will within a few weeks of his death, and this is witnessed by a named group of local gentry. Shakespeare signs his Will within a few weeks of his death, and this is witnessed by a named group of local gentry. The Last Will and Testament of Nostradamus was discovered by the French genealogist Pierre d&apos;Hozier in 1659, reporting that it had been in the possession of a notary in the city of Salon, where Nostradamus died. Depending on which account you want to believe, the Last Will and Testament of Shakespeare was discovered in 1737 or 1747. Nostradamus&apos; Will requested that a tomb or monument be erected for him against the wall of his local church (une tombe ou monument contre la muraille). Indeed, after his death, his tomb was inserted against the wall of his local church. After the death of Shakespeare, a monument to him was erected against the wall of his local church. Nostradamus tourism became a major industry of the town of Salon where Nostradamus lived, attracting pilgrims from around the world to visit the museum and church wall of Nostradamus. Shakespeare tourism became a major industry of the town of Stratford where Shakespeare lived, attracting pilgrims from around the world to visit the museum and church wall of Shakespeare. ET N&apos;ENVIEZ POINT LE REPOS D&apos;ICELVY. AND DO NOT AT ALL ENVY HIM HIS REST. By legend, someone found the courage to open Nostradamus&apos; tomb in 1792 and he was promptly killed by a stray bullet! TO DIGG T&apos;HE DVST ENCLOASED HEARE. AND CVRST BE HE Y&apos;T MOVES MY BONES. By legend, no one has ever dared to open Shakespeare&apos;s tomb! The Will of Nostradamus may not have been the only Will from which Shakespeare borrowed ideas. Of special note is that aforementioned bequest of "thirteene poundes, sixe shillinges, and eight pence." It looks like Shakespeare got that idea from the Will of the 5th Earl of Derby (one of the richest men in England) who bequeathed that same exact sum to his brother, the 6th Earl of Derby. For more information, please see our article on Derby. I offer my sincere apologies for this page that I apparently wrote when in an extremely sarcastic mood. Such mood swings afflict me every now and then. But I can assure you that all the underlying data remains factually correct including Ferdinando&apos;s bequest to his brother. Since the Last Will and Testament of Nostradamus was discovered after the death of Shakespeare, it is theoretical possible for Nostradamus&apos; Will to be a fake, written after having sight of Shakespeare&apos;s Will. So, who borrowed from whom? With Nostradamus making no mention of prophecies and with Shakespeare making no mention of plays, it is pretty obvious that both Wills are fake, both written by the same master conspirators. The leader of the conspirators, a man who created the name Christian Rosenkreutz and self-associated himself with it, was someone truly obsessed with the thirty-nine prophecies. He repeatedly refers to those prophecies in everything he wrote, ranging from his cryptic histories of the conspiracy, written in the German and Latin languages, to his own Last Will and Testament, which he wrote in English. It was not by accident that, for the Second Folio of 1632, the name Rosincrance was changed to Rosincros. This is the title-page image from an English translation of Rosenkreutz&apos;s second history, with authorship falsely attributed to the translator who was himself a leading Shakespeare candidate. The image depicts the Devil&apos;s love affair with the earthling Joan (or Jane, the mother of Christian Rosenkreutz? ), resulting in the birth of Merlin, time traveler. Note the wildcard symbols between the &apos;R&apos; and the &apos;S&apos; at the bottom: Rosae cruciS. Navigamus e Peruvia. So begins this history (cryptic) which, in combination with Spanish maritime records, leads us to believe that Marlowe was on board a ship called the Santa Isabel (apparently so renamed in honor of the English queen) and that he and his comrades perished in or near Australia in late 1595 or shortly thereafter. There were no survivors. Marlowe did not live on to write the Shakespearean plays. Consequently, Shakespeare himself may have heavily revised Marlowe&apos;s works prior to their publication (generally published long after Marlowe&apos;s disappearance in 1593) in order to insert those correlations with Nostradamus. Alternatively, a third person could have served as consultant or coauthor for both Marlowe and Shakespeare. Anyone trying to figure it out should keep in mind that we have encountered indications that Rosenkreutz wrote the original Faustbuch (1587) on which Marlowe&apos;s famous play was based. This leads us to suspect that Rosenkreutz might have gone on to become the creator of plots and characters but not the writer (Faustbuch was written in German) of the Shakespearean plays. Lastly, note that The Birth of Merlin does not correlate on the thirty-nine prophecies and, in view of heavy cross borrowings between and among the playwrights of the day, such correlations are the only certain sign that something was authored by the RC. Two medieval books have been found to refer to the thirty-nine prophecies (and to additional prophecies which have not survived) in a way similar to how Marlowe and Shakespeare do. Written between 1130 and 1150, these books are the Prophetiae Merlini and the Vita Merlini. Based on rumors and obscure associations, the inspiration for the books Merlini (to be discussed in Part III of this essay) comes from prophetic writings found in the 1120s by the Knights Templar during their excavations beneath the ruins of the Temple of Solomon in Jerusalem. The Knights then took them to Europe but why those prophecies were kept secret remains a mystery.